The Seleni Institute is proud to partner with various organizations, from large corporations to community support centers, to help further our mission: prioritize the emotional health of individuals and families to improve the lives of our generation and future generations. Recognizing the growing need to equip mental health professionals with the knowledge to accurately diagnose and treat the emotional challenges faced by individuals and their families during the family building years, Seleni Institute is proud to partner with JP Morgan Chase to offer 4 full scholarships to Seleni's two-day, Maternal Mental Health Intensive clinical training. Seleni's clinical team provides advice and support to help United State of Women activists put their emotional health and self-care front and center. The Seleni Institute also spoke at the USOW 2018 Summit, with our Clinical Director Hara Ntalla hosting a breakout session on Building Resilience and Preserving Your Emotional Health in Today's World. Seleni Institute has partnered with CAMBA—one of New York City’s largest multi-service organizations—to train healthcare professionals in supporting the emotional wellbeing of young parents. More than 55 healthcare professionals participated in MMHI4teens™ training led by Seleni Institute clinicians in Brooklyn. Over two days, CAMBA's healthcare professionals learned evidenced-based approaches to addressing the emotional health issues specific to parenthood and unique to young parents. Seleni Institute has partnered with NYC Nurse-Family Partnership (NYC NFP), a program of the NYC Health Department, to train healthcare professionals in supporting the emotional wellbeing of young parents. More than 122 NYC NFP nurses participated in MMHI4teens™ training led by Seleni Institute clinicians in Brooklyn. Over two days, NYC NFP’s team of nurses and mental health professionals learned evidenced-based approaches to addressing the emotional health issues specific to parenthood and unique to young parents. 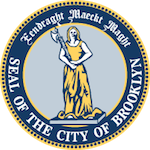 Seleni Institute has partnered with the office of Brooklyn Borough President Eric L Adams, to train healthcare professionals in supporting the emotional wellbeing of young parents. More than 85 government healthcare professionals participated in MMHI4teens™ training led by Seleni Institute clinicians in Brooklyn. Over two days, their team of healthcare professionals learned evidenced-based approaches to addressing the emotional health issues specific to parenthood and unique to young parents.